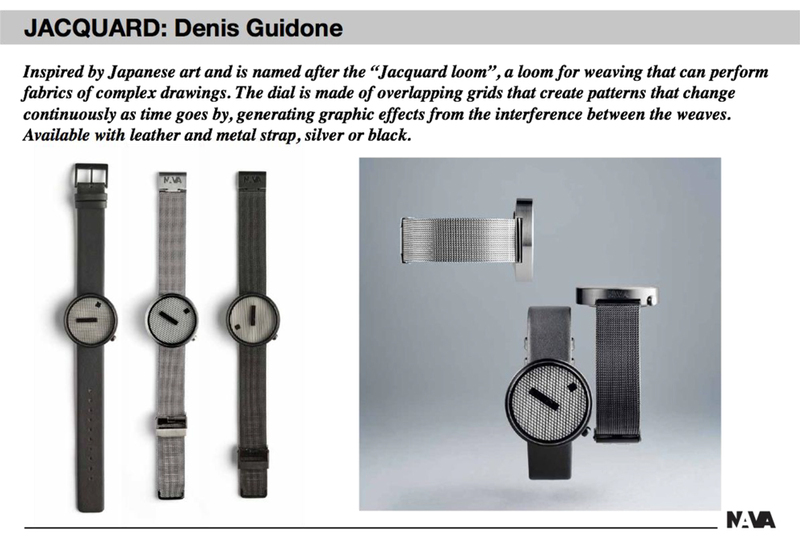 "Jacquard" wristwatch with leather strap is inspired by Japanese art and is named after the “Jacquard loom”, a loom for weaving that can perform fabrics of complex drawings. The dial is made of overlapping grids that create patterns that change continuously as time goes by, generating graphic effects from the interference between the weaves. 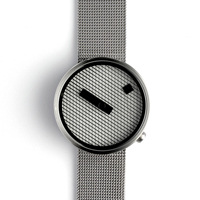 "Jacquard" wristwatch with black mesh band is an homage to the world of the weave of fabrics and to the Japanese art and takes its name from the “Jacquard loom”, a loom for weaving that can perform fabrics of complex drawings. The dial is made of overlapping grids that, with the passage of time, create graphic effects from the interference between the weaves. 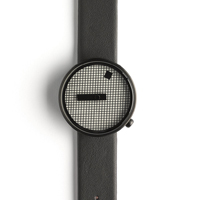 "Jacquard" wristwatch with steel mesh band is inspired by the world of Japan and, more specifically, by the world of the weave of fabrics, in fact it takes its name from the "Jacquard loom", a loom for weaving that can perform fabrics of complex drawings. 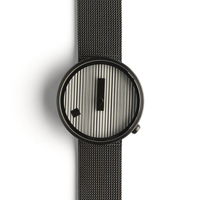 The dial is made of overlapping grids that intersect to create graphic effects that change as time goes by.